day 280 and i am back to creating today, if only for a brief moment! today while the peeps were out at friends and steve returned to work for a couple of hours i made some treat bags for them for st patrick's day. 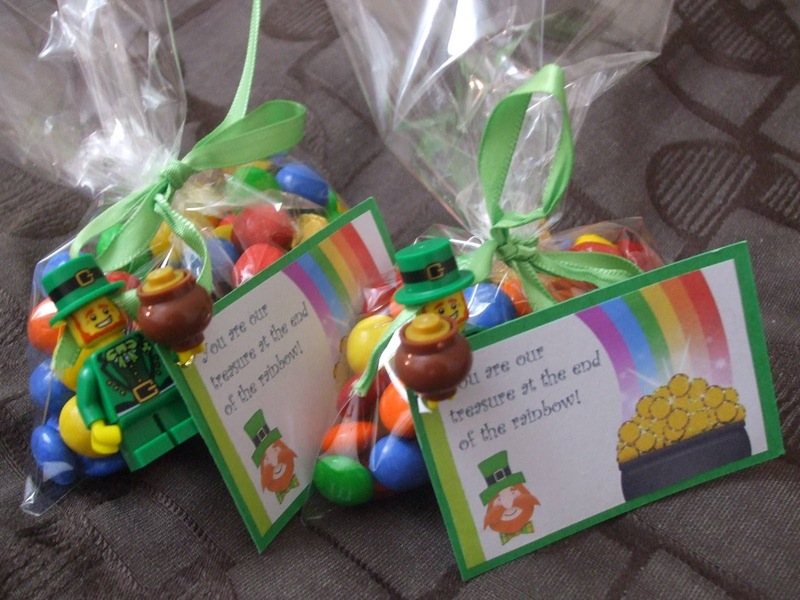 i loved these leprechaun inspired treat bags by julia at sweet serendipity, they are all so cute! 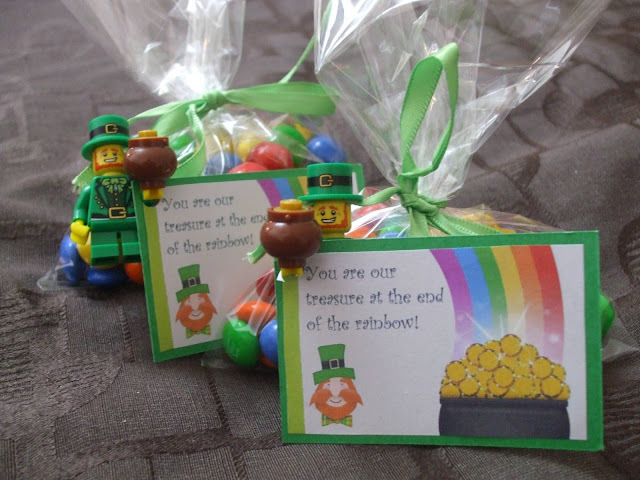 for today's creation i decided to go with her rainbow bags but add in some gold rolo's given these were destined for the end of a rainbow :) this idea from julia is also pinned to my st patrick's luck board on pinterest. you will need smarties or m&m's, rolos or other gold covered candy, some green ribbon, and some cellophane bags to make these gifties. i used m&m's and rolos as my loot but did omit using the brown m&m's because they aren't very rainbow looking (but were steve-supper looking!). 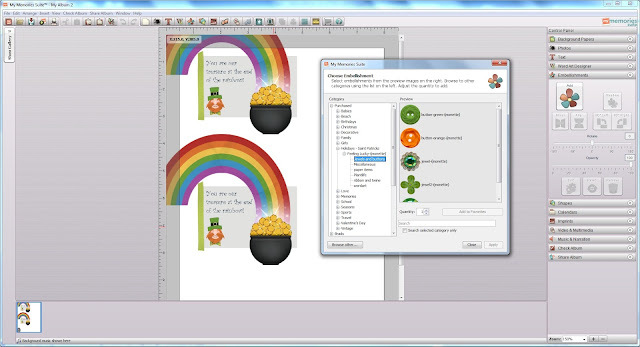 i used the my memories software to make some very quick tags using julia's sentiment. outcome: this was just the ideal little craft for me today and it is even more perfect with st patrick's day tomorrow and my need to treat my family for all they are doing at the moment. we love the lego minifigs so the leprechauns will no doubt wind up on the peeps walls as part of my previous creations (day 70 and day 204). my sincere thanks to julia for this lovely gift idea that is perfect for st patrick's day. her blog sweet serendipity has so many wonderful ideas that are great for making the everyday just a little bit more sweet and exciting. This looks great!!! Thanks for sharing it. The peeps will love these Kirsty ! I'm in love with My Memories! I just recently got it too. So much fun! These turned out super cute! Well, hello! Welcome back, my friend! 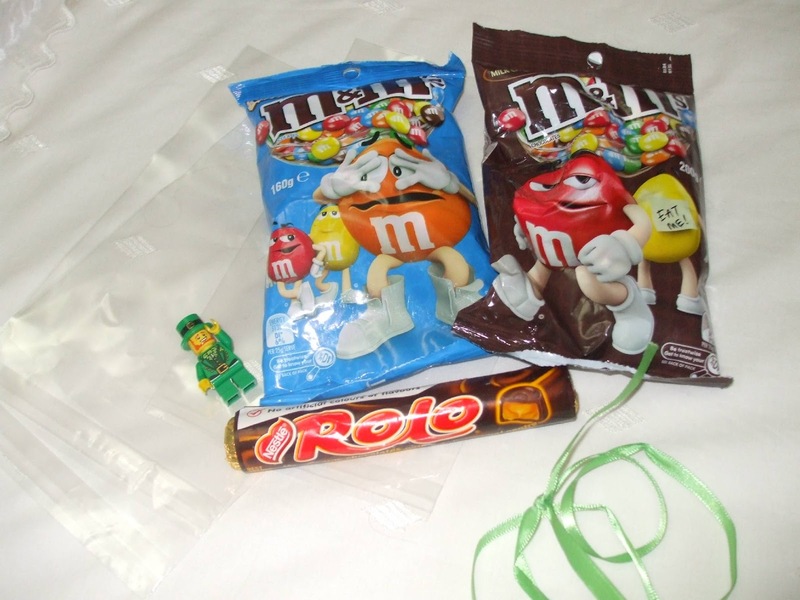 These goodie bags are so cute especially with those Lego leprechauns! 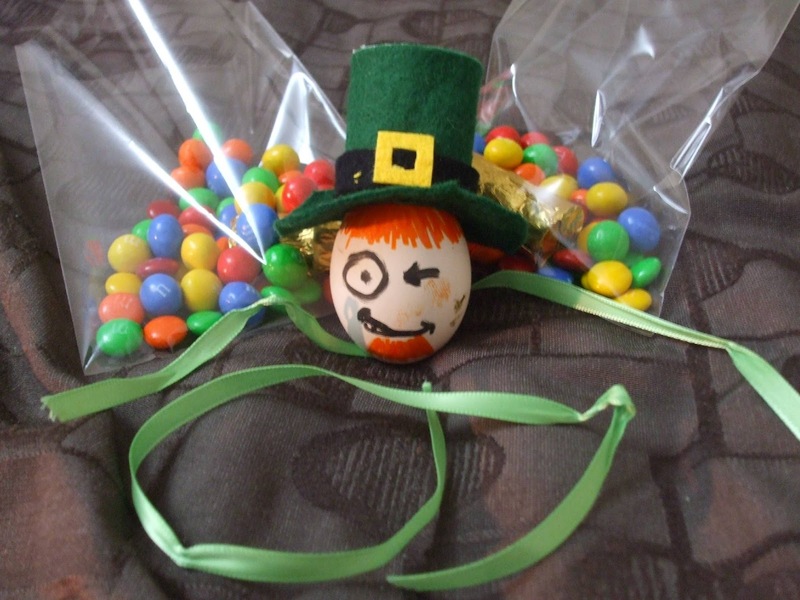 (Steve's egg leprechaun, however, is a little on the creepy side - sorry, Steve). Hope you guys have a lovely weekend and that you find a pot of gold tomorrow!